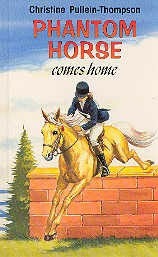 Ravette republished all of the Phantom Horse series. 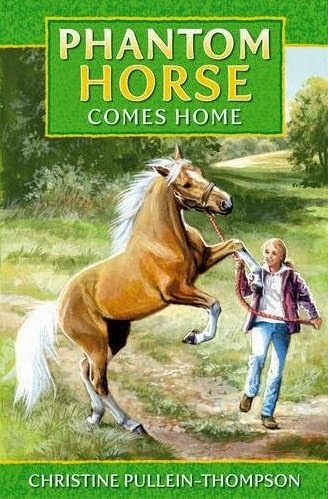 It's safe to say that none of the books have particularly successful covers, but Phantom Horse Comes Home is probably the worst. Here's the rather lovely original Armada printing - Phantom Horse Comes Home was first published by Armada in 1970, and this paperback is the true first edition. Sadly I don't know who was responsible for the illustration, but they did a really good job. It suggests so much more than simply Phantom moving from one country to another. It's horse and rider finding comfort in each other. The later Armada is a pretty standard photo cover, and an average effort followed from Award in 1997, followed by one of the best yet: Jennifer Bell, for Award in 2011. Jennifer Bell has done covers for the whole Phantom series, and they're still in print.